For this reason a man will leave his father and mother, and the two will become one flesh. Bethlehem Church is pleased to offer services to be a part of your wedding. 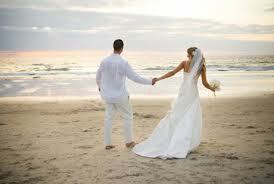 Planning and preparing for your special day demands careful attention. We have a beautiful sanctuary and a staff committed to making your wedding an occasion to remember. (717) 244-1486 (church) or (717) 244-5127 (Pastor). Once a date is set, a completed wedding application must be submitted to the church office to hold the date. Fees will be discussed at the first meeting with the Pastor. Members of the church will not be charged for the use of the building. a date must be scheduled to meet with the Pastor to begin the planning process and pre-marital counseling. At this session, you will receive additional information that will be helpful as your plans unfold. Remember, the best occasions are planned many months in advance.Contact us for more information. Click here: Wedding Planning Document.